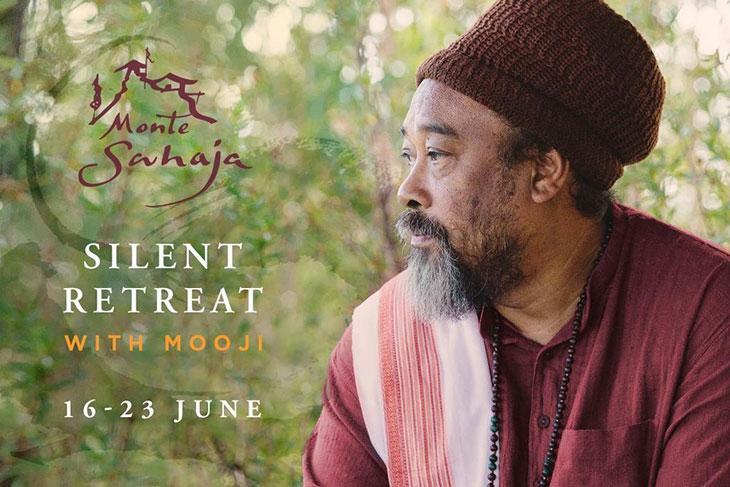 We are delighted to announce that an Advanced Silent Retreat with Moojibaba will be offered at Monte Sahaja, Portugal, from 16-23 June, 2018. This 7-day residential Silent Retreat is for seekers who are on fire for Awakening. Mooji feels compelled to be in the company of such seeking in order to be in service to ultimate liberation. Satsang takes place twice each day and in this auspicious time Mooji guides, challenges and responds to questions with wisdom, love, humour and searing clarity. The retreat also includes one full day for self-contemplation where each one can assimilate the guidance and deepen their experience. Whether you attend physically or participate online, this retreat is an auspicious and potent opportunity to be completely immersed in the energy field of Satsang while in the presence and grace of a great spiritual Master. You can join the Online Retreat here.